It is great for marking emergency vehicles, bollards, poles, gates, barricades, tractor trailers, loading docks, signs and more. Reflexite V98 tape is about 7 times brighter than standard engineer grade tape and twice as bright as high intensity reflective. Light is reflected via micro prisms making the tape much brighter than glass bead type tapes. This allows the tape to be seen from much further away. Thousands of feet versus hundreds. Reflexite V98 tapes carry a 5-7 year outdoor rating. This tape is easy to handle and resists chipping and cracking. 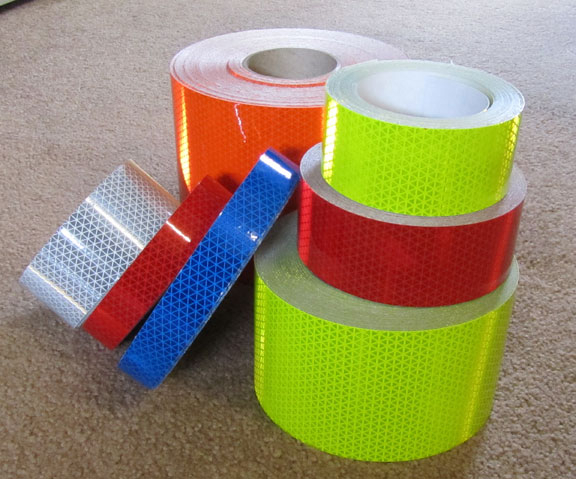 It is much more conformable than standard prismatic tapes and can be used on helmets and surfaces that have compound curves. 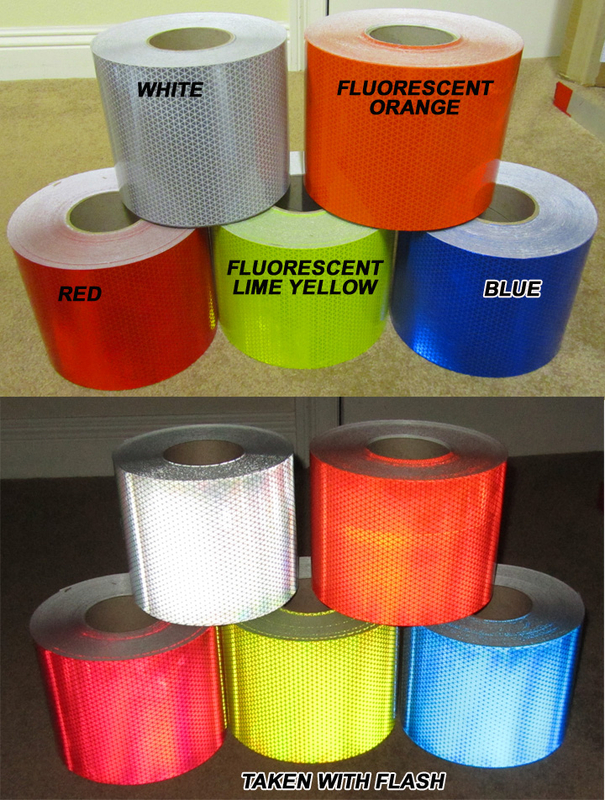 The Fluorescent Lime or Orange are especially popular due their visibility in the day and night. They are both Fluorescent and Reflective which is what makes those two colors unique. To install simply peel the backing off the tape and apply to a clean surface. Then press on with a clean cloth or squeegee. Click here for a spec sheet. Note - For chevrons on fire trucks the 6" material should be applied to create downward slanting 45 degree chevrons. The stripes should alternate from red to lime/yellow. Covering 50% of the rear of a fire truck satisfies the NFPA 1901 recommendations. We sell 1", 2", 4", and 6" widths in 150' rolls on this page. Prices are as follows. For 30 foot rolls CLICK HERE.